Don’t get me wrong, I love a good spookynatural or sword-n-sorcery story. But sci-fi and speculative fantasy have almost vanished under the mass of vampires, werewolves, trolls, and elves just lately. 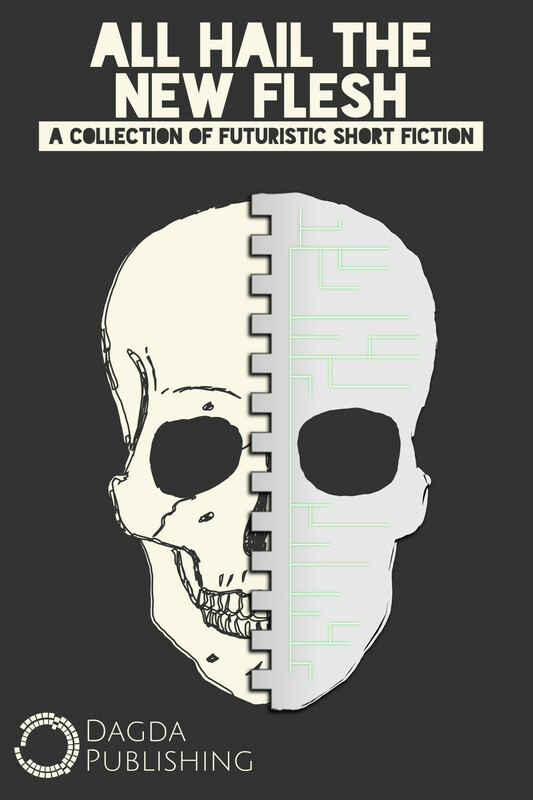 Every other book seems to be an undead/zombie cross-species love quadrangle featuring unfeasible biology… Hence my delight at this anthology of futuristic short fiction, in which 13 authors play around with the time-honoured theme of technology-gone-wrong. Human hubris: machine sentience; the end of the world as we know it. It’s all in here in easily digested short stories. Some are set on a grand scale in the far-flung future, while others could so easily happen tomorrow. If not today. The compilation opens with a witty tale set in the here-and-now, with a traditional Mad Scientist who comes up with a sat-nav that offers guidance through life’s crises (do you always do exactly what your sat-nav tells you?). Then ‘Skull Cinema’ imagines exactly what we might find if we could see directly into another person’s thoughts and the consequences of learning what should remain secret. The fractured, fragmented writing in ‘Retrograde’ cleverly emulates the dimensional dissonance triggered by experimental weapons testing. Other stories consider whether a replicant might be able to escape its programming, and the morality of cloning a lost loved one. We meet psycho cyborgs and super-evolved insects – there’s even a zombie romp. I enjoyed the majority of the stories – as with all anthologies there were some which missed the mark for me although I could see where the authors were going. Interestingly my least favourites were the ones set in the most outlandish futures, where humans are all but gone from the picture. Aliens were less interesting – in this context – than AI. All the stories were easy to read and some were extremely well written. I do short fiction too!! I am featured in, among other things, ‘All Hail The New Flesh’ – dystopian SciFi anthology. There’s a review if this collection here at Murder, Mayham & More!